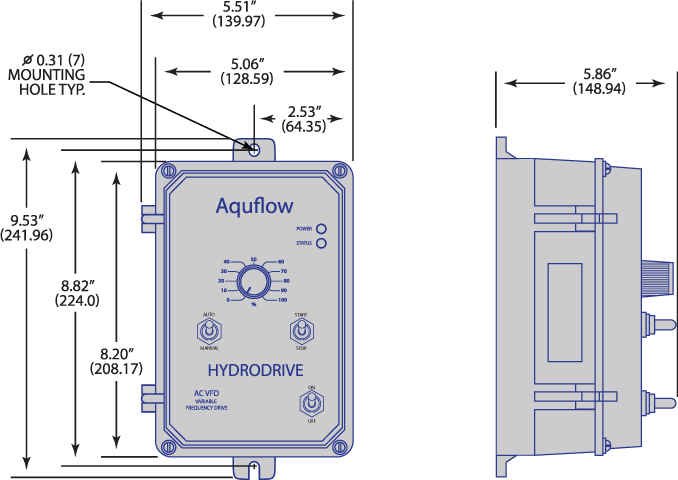 The HydroDriveTM AC Variable Frequency Drive is a variable speed control in a NEMA-4X / IP-65 washdown, watertight enclosure. It is designed to operate 208-230 Volt 3-phase AC induction motors through 3.6 Amps RMS. The sine wave coded Pulse Width Modulated (PWM) output operates at a frequency of 16Hz which provides high torque and high efficiency at a low noise level. Notes: **UL approved as an electronic overload protector for motors. J1/J2 (115V/230V): Selects incoming power voltage. J3 (1/4, 1/2, 3/4, 1): Selects motor horsepower. J4 (Auto/Man): Selects automatic or manual reset mode. 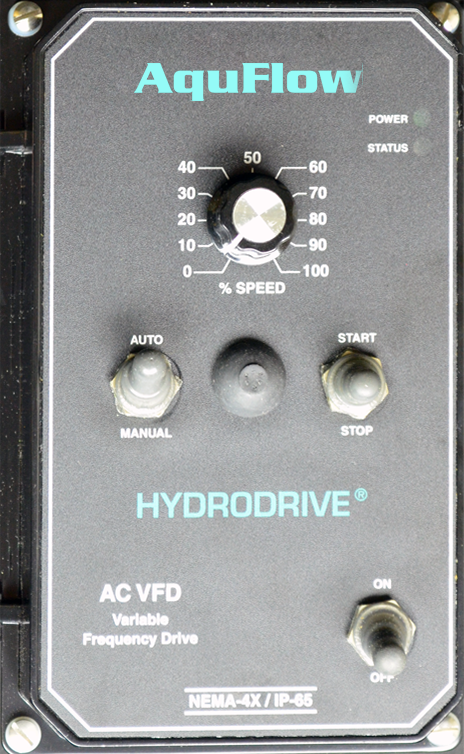 J5 (50Hz/60Hz): Selects motor frequency. J6 (1X/2X): Selects motor frequency multiplier. J7 (FIX/ADJ): Selects fixed or adjustable boost. Multi-Speed Board: Provides multi speed operation through a PLC.